The famous question from the Oscar awarded movie “No Man’s Land” (BiH director Danis Tanović) “Who started the war?”, which two soldiers from different sides trapped in a trench surrounded by landmines during the war in BiH are asking, depending who is in possession of the weapon, unfortunately still remains unanswered. More than two decades after the last shot was fired in the bloody conflict of 1992-1995, many in BiH still do not consider the present situation as peace but as the “absence of war”. Political divisions in the country are so deep that it seems that there is no politician willing do something to soften the situation and start a wide scale negotiations about state future. All sides (national parties) are more afraid to lose something than try to act to the benefit of the nation they belong. The latest example of such a situation came from (Bosniak) Party of the Democratic Action (SDA) leader, Bakir Izetbegović, who said in a recent interview that the condition for the withdrawal of the motion on the name of the Republika Srpska on BiH Constitutional Court, is that the Leader of the (Serb) Alliance of the Independent Social Democrats (SNSD) and BiH Presidency Chairman, Milorad Dodik, unblocks the state approach to NATO and agree with the activation of MAP (Membership Action Plan). “If Milorad Dodik changed his mind and began to respect the Constitution of the country and its laws, including the previously adopted decision on BiH’s path to NATO, we would withdraw the motion on the name of Republika Srpska”, Izetbegović said. According to analysts in Republika Srpska, this statement confirms that the Bosniak initiative to change the entity name is just a weapon used to promote its interests, as in the case of the NATO membership. 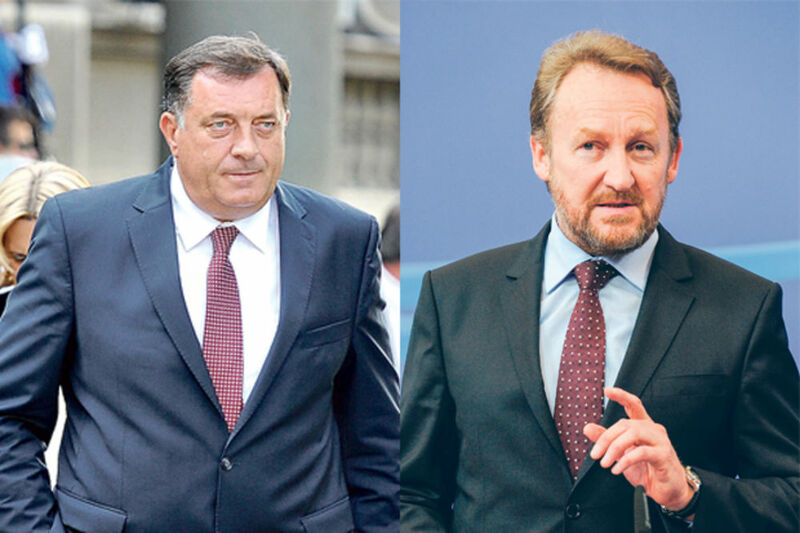 It also means that, if Dodik complies with the MAP activation, this name change threat can and will be used many more times to blackmail the Serb side into agreeing with the Bosniak side demands. On his part, Dodik is holding firm on the stance that he is not allowed to give his consent on the MAP activation since Republika Srpska National Assembly adopted the Declaration on Military Neutrality last year and he is obliged to respect the RS NA decisions. What he will not say however, is that the Declaration was adopted on his suggestion, when he was RS President. Famous for his position in favour the cessation of Republika Srpska from BiH, it came as a surprise that in an interview on Friday, Dodik showed a more conciliatory face. Namely, he called “all officials in BiH” to take a different approach and work towards peace building. “BiH officials should stop with unitarization and secession talks, and start supporting each other so we could start making some progress… There are different ways in which relations between the three constituent peoples in Bosnia could develop. They could spark progress or stagnation, or we could try to reach a basic consensus and a functional agreement which would suit everyone”, Dodik said. He added that it is only natural that officials accept reality and try to make something out of it. “Whether this will happen or not, I’m not sure”, stated the BiH Presidency Chairman. He called on everyone in BiH to define their goals for the next five years. According to him, the best thing for Bosnia would be to receive the candidate status for the EU as soon as possible.